We all know and love our beloved Product Hunt. A few weeks ago our side project Nomad Projects got featured. I will now tell you about the madness that followed. Nomad Projects started back in november 2015 as an idea. We found it difficult to find fellow nomads to start side projects with. Me and my co-founder started brainstorming and thus Nomad Projects was born. In short Nomad Projects is a platform for digital nomads who want to start a side project. We aim to connect with other nomads so ideas don’t stay ideas, but grow into side projects with mixed expertise. After a lenghty closed beta of 3 months we were finally ready to launch our very own side project that would hopefully benefit the nomad community. We moved out of closed beta and on Sunday the 13th of March we would officially launch. We planned our Product Hunt signup carefully as you only get 1 shot at it, better do it right. Our good friend Chema Garrido hunted us on early sunday morning. Being Nomads ourselves we were in completely different timezones. My co-founder was in The Netherlands while I was in Koh Lanta, Thailand. At first it was quiet. I would have hoped things would catch on and the first hours after Nomad Projects was hunted it didnt. 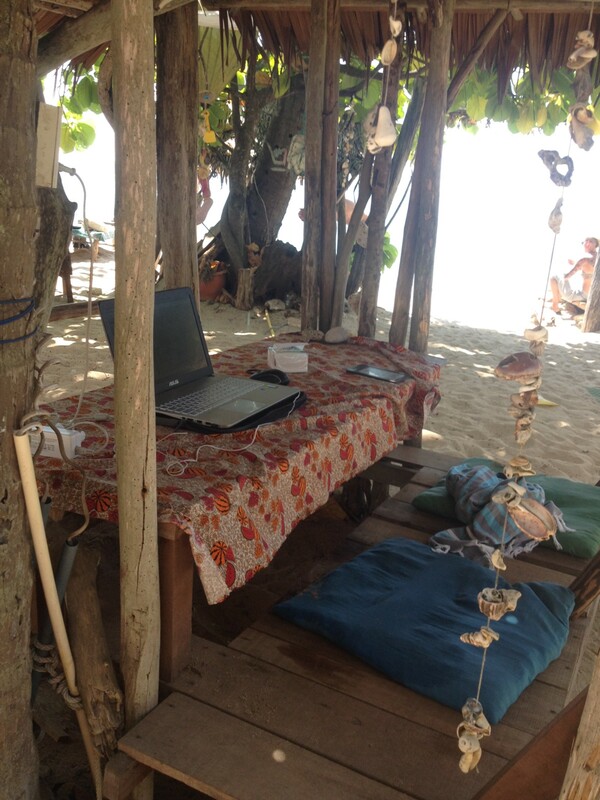 I was working at the Koh Lanta co working space Kohub and when it got late I called it a day. As soon as I returned to my bamboo house on the beach (with horrible WiFi) it started gaining momentum. I guess people in other timezones were just starting their day, while I was just ending it. Nomad Projects rose to the nr 1 position quickly and the upvotes, comments and feedback were rolling in rapidly. At this moment I had already closed my laptop, it was 10pm and while my laptop wasnt online anymore, my phone was. It was vibrating non stop. 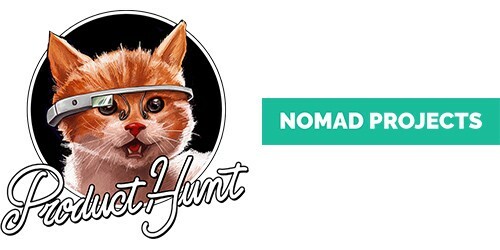 My co-founder was in the right timezone and she did a wonderful job keeping the Nomad Projects page on Product Hunt alive by answering questions and providing feedback. When I woke up the next morning I was very excited to check my laptop. Obviously at this moment my co-founder was sleeping and I had a lot of catching up to do. Althought the WiFi was crappy I was able to check my mail and catch up on all the Product Hunt madness. While I was glad that everything worked out fine, I would not do it the same if I had to do it again. For us the Product Hunt effect lasted more or less 5 days. After that things returned to normal. For those we would love to see the numbers, here are the 5 days following PH. Not to mention the shitload of e-mails with feedback from users, compliments, tweaks, people offering their services and/or wanting to join the Nomad Projects team. Complete and utter madness. On monday the 14th it took me hours to sort everything out. The days that followed the team behind Nomad Projects was still very busy with keeping up with everything. “Our product IS useful for the nomad community” — Sometimes we had our doubts but having had a huge amount of positive feedback is what keeps us going. “Just do it!” — It’s awesome to see that our idea grew into a side project that is now helping other nomads realize their ideas. Everyone can start their own side project. Believe in your idea, find a partner and go for it! “You build it for your users” — Engage with users, thank them for their advice and help. They are the ones that eventually will use your product, so invest time and energy in them.